Born Bartolomeo Baglioni (1462-1543) in Florence, Baccio (short for Bartolomeo) d'Agnolo (from his father, Angelo), started out as a woodcarver like his father, and soon found himself employed to create elaborate frames for the altarpieces of the greatest painters of the day. From there it was on to creating whole altar groups and decorative schemes of all kinds for churches and private patrons (salon of the Palazzo Vecchio). 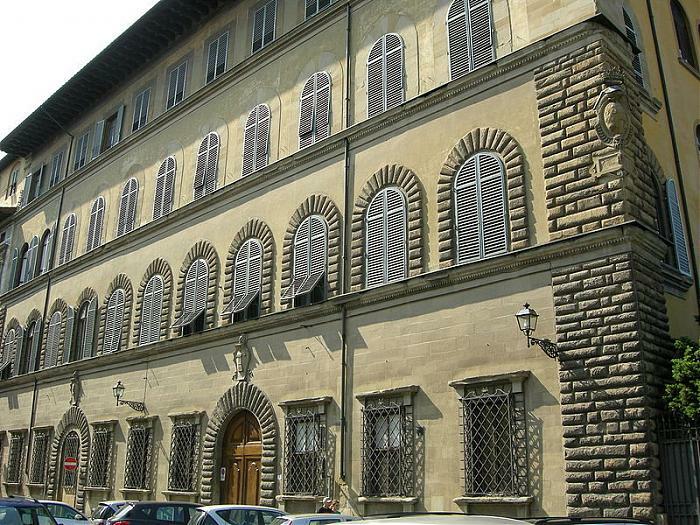 The next step was architecture, and Baccio came to redefine the Florentine palazzo for a new generation with works such as the Palazzo Bartonlini Salimbeni, Palazzo Torrigiani, Palazzo Taddei and many others, and the church of San Giuseppe. If private patrons liked his new-style palaces, with white stucco facades that highlighted the stonework around windows and cornices, he was unsuccessful at obtaining big public commissions—especially after Michelangelo unjustly dismissed his proposed balconies for the dome of the Duomo as a 'cage for crickets'. His son Giuliano di Baccio d'Agnolo (1491-1555) achieved some fame as a sculptor (ciborium over the high altar at the SS. Annunziata).